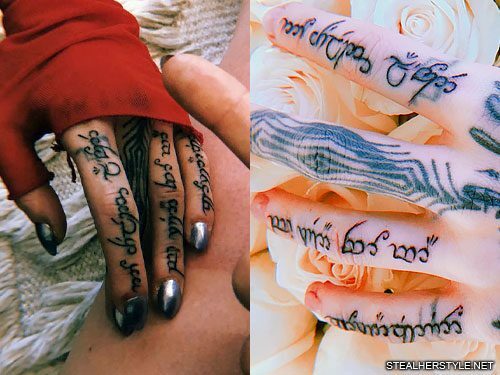 Grimes and her friend Hana Pestle aka HANA got semi-matching Lord of the Rings tattoos in July 2018. 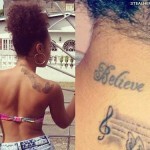 Artist Delphine Noiztoy came over to HANA’s house to tattoo both of them with writing in J.R.R. Tolkien’s elvish language. This was HANA’s very first tattoo and she got the Gandalf quote “and all turns to silver glass” on her thigh. Grimes got elven script on three of her fingers reading “Contradiction / Be ready for war / No shields allowed” which is not a direct quote from the book series. The four of them met up to celebrate Courtney Barry’s 26th birthday on August 18, 2018. 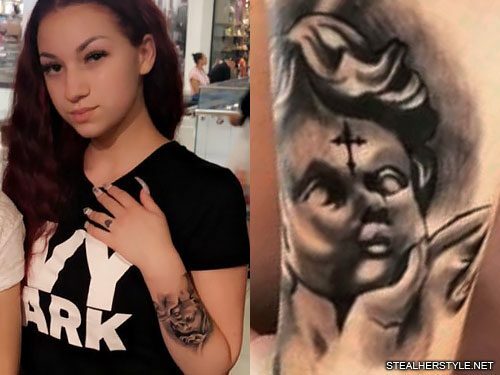 They didn’t plan to get tattoos beforehand, but the “chill family dinner turned wild” according to Courtney and they wound up at a tattoo parlor. 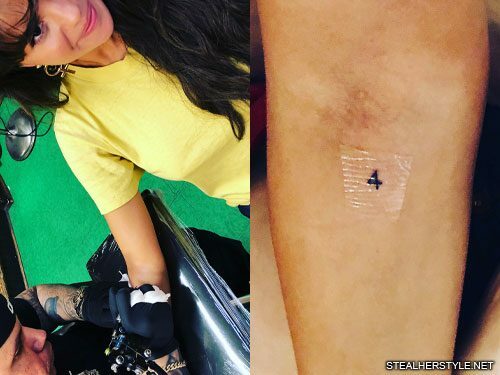 Raquelle Stevens was hesitant about getting a spontaneous tattoo, but after some convincing from her friends she got a very tiny 4 in a discrete spot on her hip. 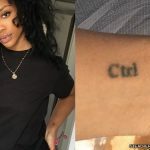 It’s so small that Selena joked “it’s a dot!” adding that Raquel “had an actual panic attack.” Selena is no stranger to tattoos so she picked a more prominent location on her arm. Ashley Cook and birthday girl Courtney Barry both put theirs on their ankles. 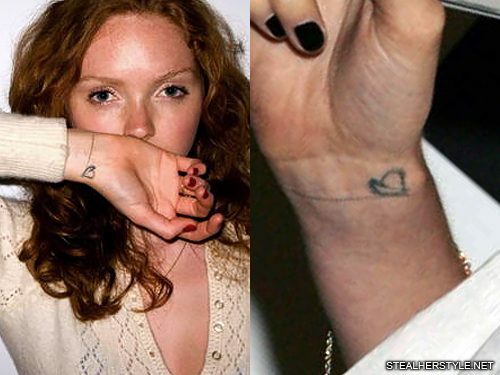 Selena Gomez celebrated her best friend Courtney Barry’s 26th birthday by getting two different matching tattoos with her. 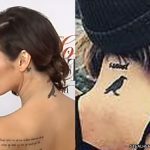 Both girls were part of a group of four friends that got matching “4” tattoos, and the two of them got matching rib tattoos as well. The tattoos were an impulsive decision. They were hanging out with another model Caleb Cechota, who had just gotten a scorpion on his arm earlier that day, when they decided to get some ink of their own. “Lucas and I just decided we’re going to get tatted,” Noah said on her instagram story while laughing. 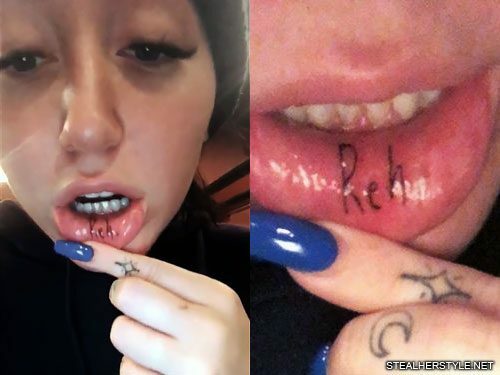 “Oh my god, this is my life, all the time — more tattoos!” She had over 20 tattoos already but this was the first for him. Debby Ryan has a matching square tattoo on the outside of her left pinkie finger which she shares with her good friend Emily Augustin. 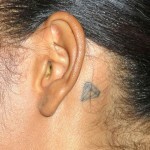 They got the homemade stick-and-poke tattoos in October 2016. 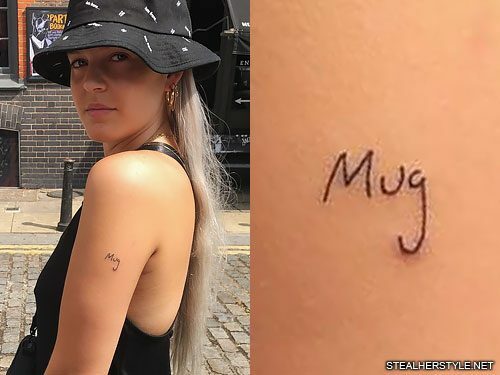 Anne-Marie and fellow singer-songwriter Ed Sheeran got matching “Mug” tattoos while on tour together in July 2018. She is an opening act on his ÷ stadium tour, putting her in front of much larger audiences than she’s used to. It’s been helping her to get more comfortable performing and to expose her music to his huge global fanbase. Ed Sheeran’s “Mug” tattoo is on the inside of his right elbow, just above his Irish flag shamrock. They were inked by artist Tobias Tietchen at his Hamburg, Germany tattoo studio Atelier Tietchen before their concert in Hamburg on July 25, 2018. 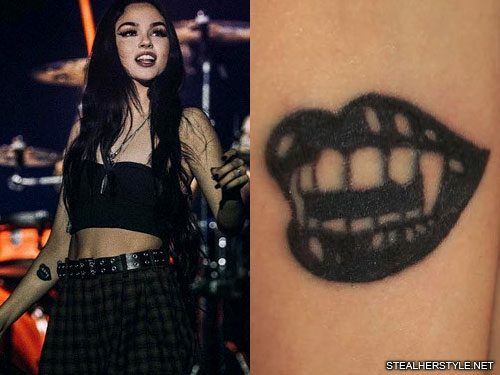 Maggie Lindemann has multiple matching tattoos with her best friend Lisey, including the X’s on her hand. In February 2018 they got matching smiley faces on their elbows. Both tattoos have X’s for eyes, but Maggie’s has a frown while Lisey’s has a smile.